This article has numerous similarities to one of my and my colleagues’ previous publications ‘‘Tai Chi for Treating Knee Osteoarthritis: Designing a Longterm Follow-up Randomized Controlled Trial,’’ published by BMC Musculoskeletal Disorders on July 29, 2008. In addition to concerns regarding directly copied text from my publication, I am concerned that the clinical trial that Ni et al claim to have conducted as the basis for their article and the science behind it have obvious inconsistencies as described in their article. Exact wording was lifted from the Background and Introduction sections, as well as descriptions of exclusion criteria, safety measures, interventions (both for the treatment and attention control-wellness education and stretching), the measures used to assess knee osteoarthritis symptoms, and the physical performance tasks. In each case, Ni et al use the virtually identical language—without quoting or otherwise referring to our article. we are deeply skeptical that the work described by Ni et al could have been accomplished in time for their article to have been reviewed and published by March 2010. 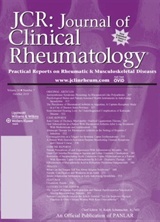 Our skepticism is founded on 2 primary points: (1) we know that our research took 6.5 years to complete, and (2) the study design described in the article … could not have been accomplished between July 29, 2008, and the time when the article had been received by the Journal of Clinical Rheumatology for review, June 29, 2009.
we believe it is absolutely clear that the paper by Ni et al … is not original work. In addition to plagiarism of text from our publication, we are concerned that the clinical trial that Ni et al claim to have conducted as the basis for their article could not have happened as it was described—and that the science itself may have been entirely fabricated. As the primary author of the article ‘‘Tai Chi Improves Physical Function in Older Chinese Women With Knee Osteoarthritis’’ (J Clin Rheumatol, 16, 64Y67) has admitted copying some phrases directly from Dr Wang and the Fujian Medical University, Fuzhou, China has provided no formal documentation that the work described was actually done, this article is being withdrawn. We have tried to contact the journal and Wang and will update this post when we’re able. Meanwhile, cheers to Wang for catching the fraud and for her full-on and public takeout of the bogus paper. Evidently the retracted paper wasn’t the first run-in Wang had with the group in China. Last year, while reviewing a paper by the same authors for an alternative medicine journal, she realized that much of the text was her own—word for word. Wang alerted the journal editors, who rejected the manuscript. In the midst of the investigation into the most recent incident, Wang says she received a lengthy email from one of the authors. But it wasn’t exactly a missive of contrition. Rather, Wang says, the letter explained how the text borrowing was merely a reflection of the authors’ inability to write in English. And they extended an invitation to her to collaborate with them on other research. She has not replied, she said. Next Next post: Do plagiarism, fraud, and retractions make it more difficult to trust research from China?